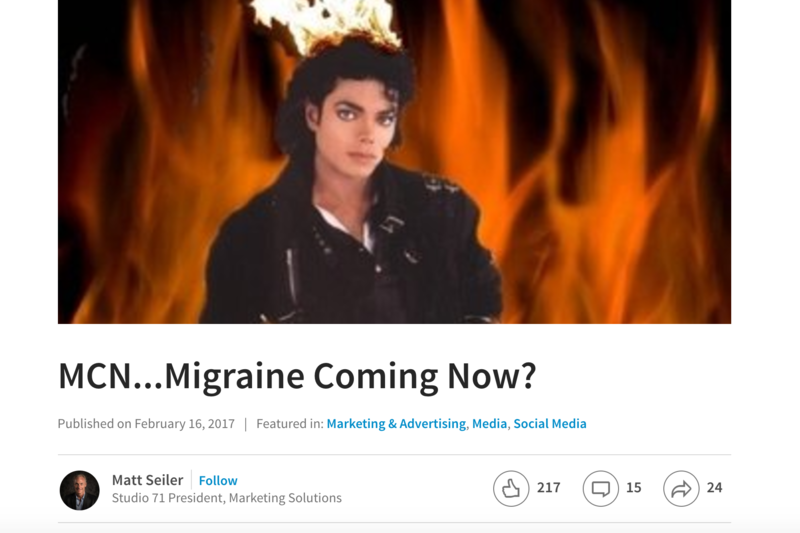 Like many things in our industry we will no doubt write about, talk about, panel about, blog and vlog about it until blood comes out of our collective ears. TV is one tenacious medium! 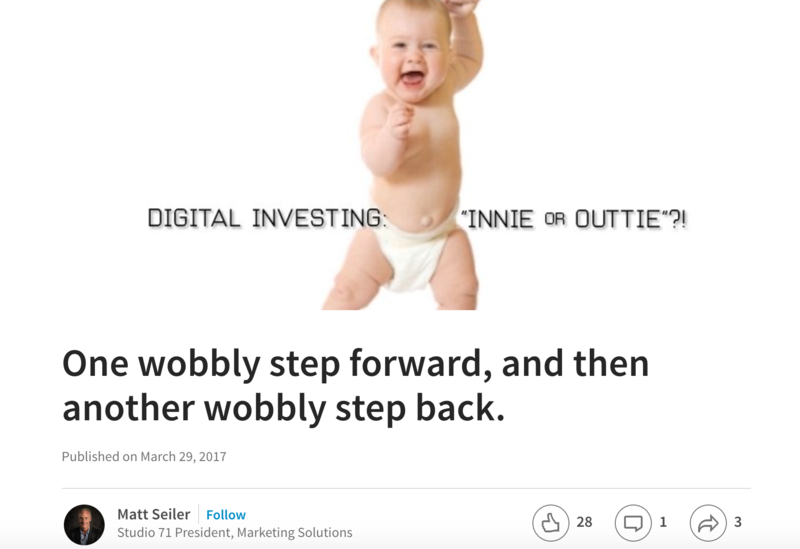 Just when it seemed as though it might actually be safe to start investing REAL dollars in digital media, transparency and all the perils of unintended adjacencies cropped up. 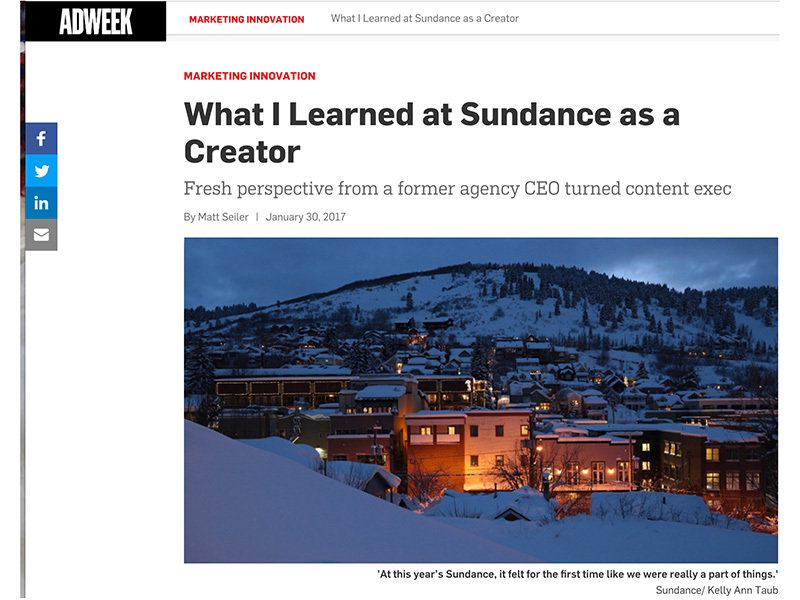 This was my first Sundance Film Festival seen through the lens of “creator” rather than agency. I loved every one of my years on the agency side, and cherish the many experiences that each of those years brought. But, I wouldn’t trade where I sit now for anything. 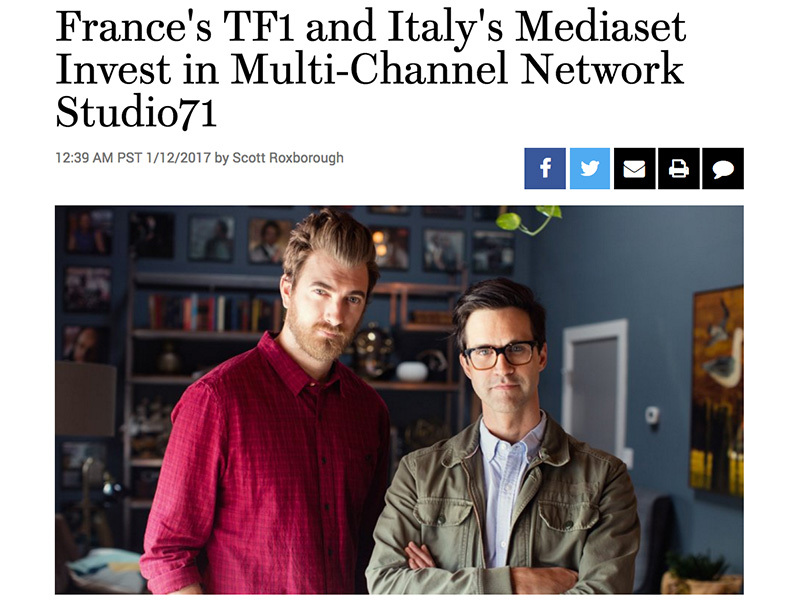 The MCN, controlled by Germany’s ProSiebenSat.1, plans to launch in France and Italy. 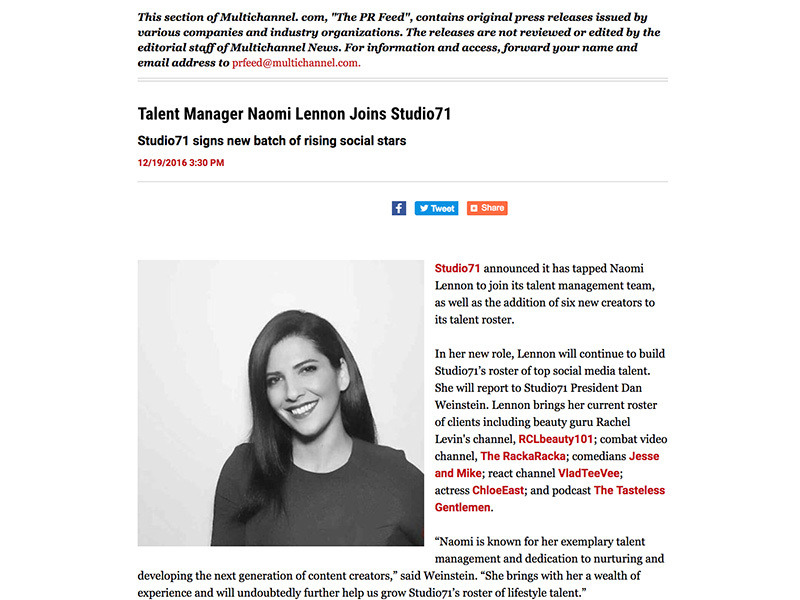 Studio71 announced it has tapped Naomi Lennon to join its talent management team, as well as the addition of six new creators to its talent roster.